Today (Friday 18th November 2016), NATS, the UK’s Air Navigation Service Provider and INEA, the European Commission Innovation and Networks Executive Agency, signed grant agreements totalling €26m of EU funding that will help the UK accelerate the upgrading of its air traffic management systems in support of delivering a Single European Sky. The Grant Agreements are in response to INEA’s 2015 Multi-Annual Call for projects supporting the European Union’s Connection Europe Facility (CEF) programme and will help NATS in its deployment of SESAR (the Single European Sky ATM research programme), which will make air travel in Europe safer, cheaper and more environmentally friendly, as well as increasing capacity to meet future demand. The projects being funded by the grants will help NATS deliver essential systems upgrades and a new Operations Room at the Swanwick Centre, from which London and much of wider UK airspace is controlled. The projects form part of NATS’ implementation of the European Air Traffic Management (ATM) Master Plan and related SESAR Solutions and will help enable NATS to safely and efficiently manage forecast growth in UK air traffic of 50% by 2030, benefitting both the UK and the wider European network. 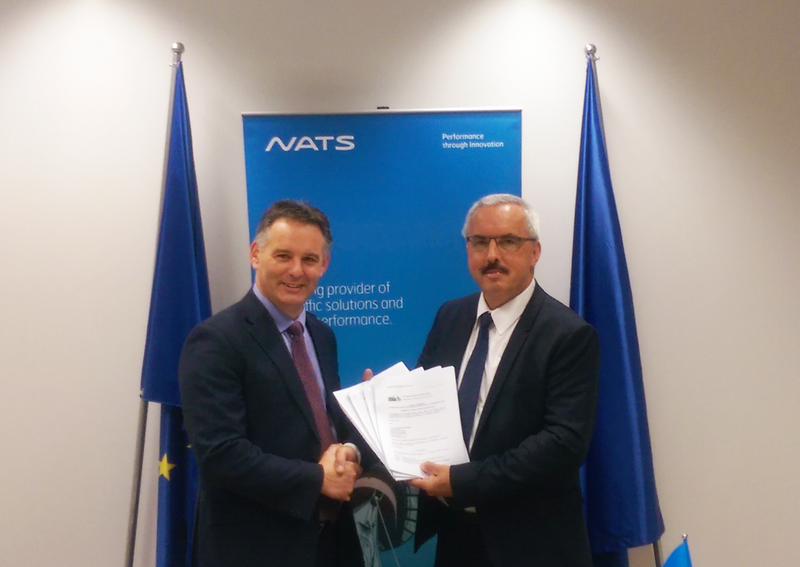 Paul Haskins, Director of Service, Strategy and Transformation at NATS and Mr Dirk Beckers, Director of the Innovation and Networks Executive Agency (INEA) formally exchanged signed copies of four Grant Agreements at a ceremony in Brussels.